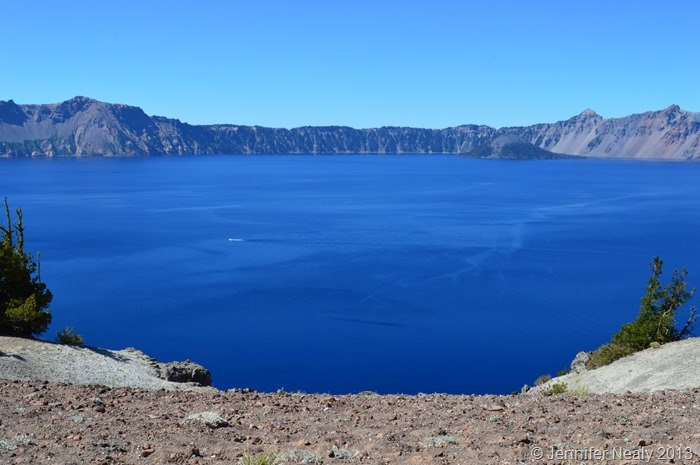 Whenever Deas and I discussed our Oregon plans with anyone, inevitably someone recommended Crater Lake. Everyone kept telling us how beautiful it was, how amazing it was. I still wasn’t overly motivated to go. Of course it would be beautiful. After all, lakes are pretty, right? What was so special about this particular lake? Well, we would soon find out. The campsite we stayed in was on Diamond Lake, just about 10 miles north of the entrance to Crater Lake. Diamond Lake itself was pretty impressive. It’s a huge campground, with lots of different loops and sites. Many of the sites are not suitable for RVs, but with a little scouting, we got a great campsite right on the water. There is a 15-mile paved bike/walking path that runs around the entire lake, and there was a pizza place that had Oregon craft beers on tap a mere 5 minute walk from our site. There were no hook-ups, but for $22 a night, we weren’t complaining. Below is the dock right behind the pizza place. 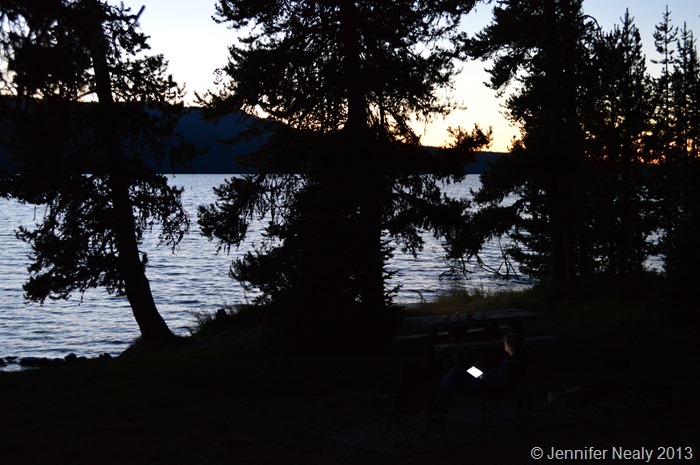 Deas reading on his iPad in our site, enjoying the last few moments of daylight. 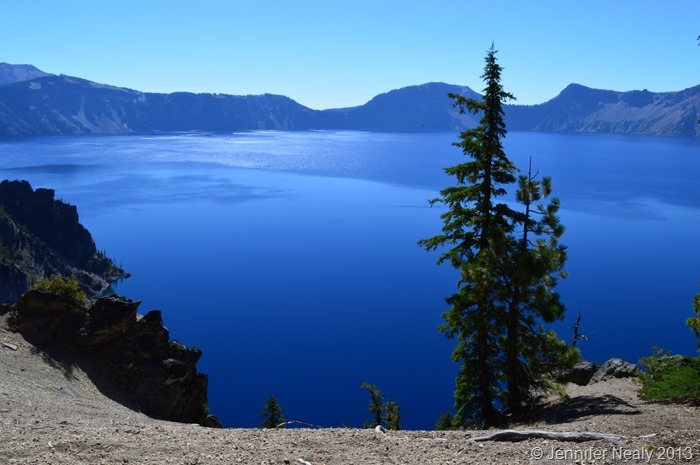 The day after we set up camp at Diamond Lake, we planned a full day of driving around and exploring Crater Lake. We drove into the park in the morning, and pulled into the first scenic pull-out we came to. At this point we couldn’t see the lake – we had to walk up a small hill to get a glimpse. 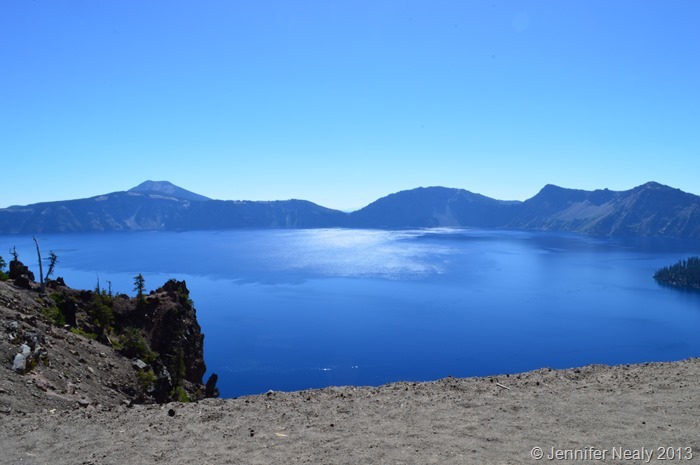 I grabbed my camera, we crested the hill, and saw Crater Lake for the first time. I promise you the pictures don’t do it justice. It was gorgeous. 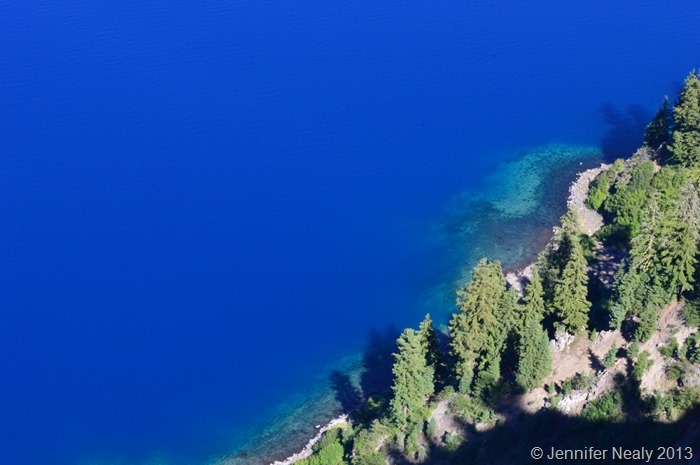 It was so serene, so calm, so BLUE – I’ve never seen anything like it. 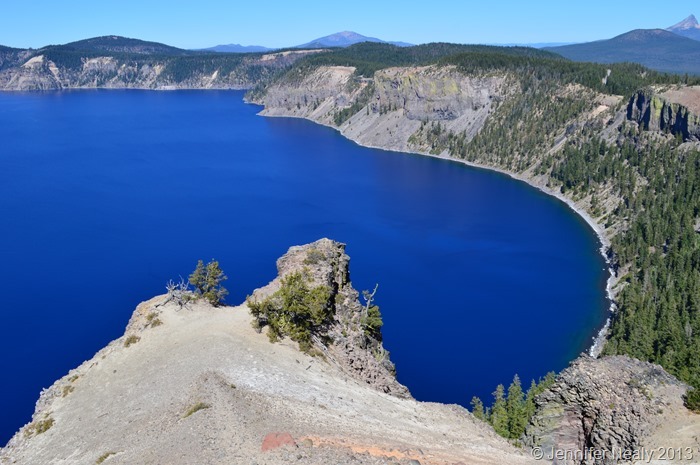 In case you don’t know the history of Crater Lake, it used to be a huge volcano called Mt Mazama, which was higher than Mt Hood. The volcano erupted more than 7,000 years ago, and it was such a massive explosion that is blew the top right off of the mountain. 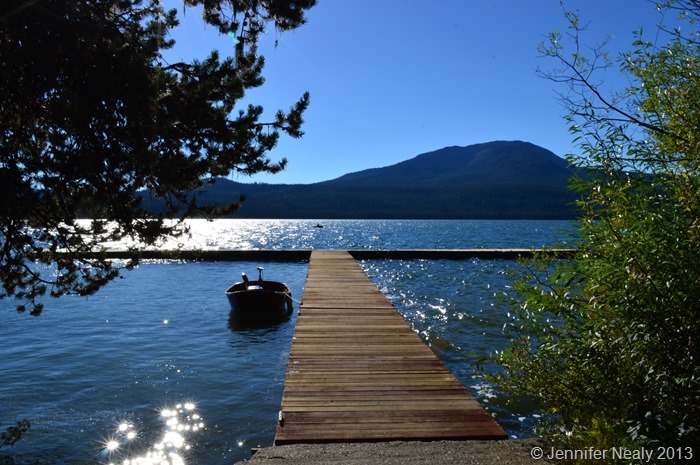 There are no rivers flowing in or out of the lake – all of the water is from rain and melting snow. Because of this the water is incredibly pure. 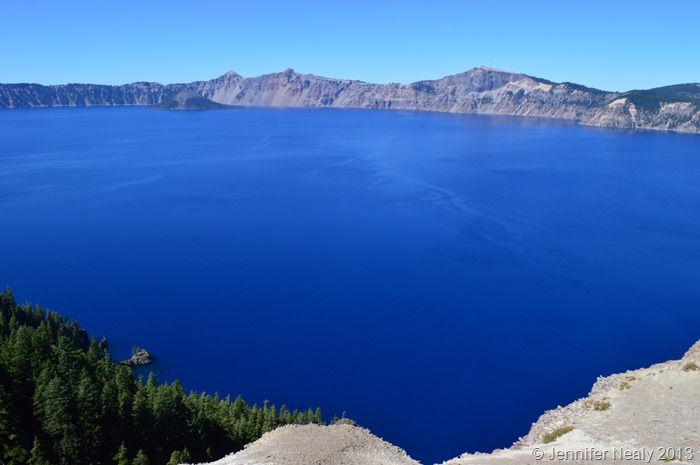 At 1,943 feet, Crater Lake is the deepest lake in the United States. You can take boat tours of the lake, and you can even swim in it, although I was told the water is incredibly cold. We didn’t do the boat tour this time, and I wish we had. We’ll definitely do it when we go back one day. 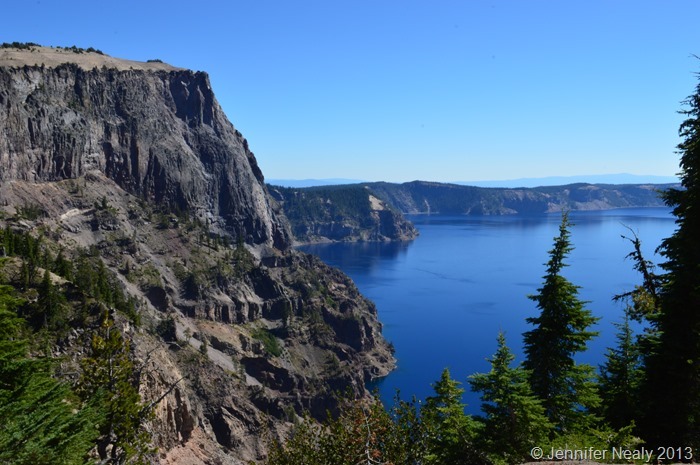 I think we stopped at every single scenic viewpoint there was – I took over 200 pictures! I just couldn’t help it. Every view was just a little bit different, and every one took my breath away. In the picture below I zoomed in on some of the rocks on the shoreline. That blue is the lake, not the sky! 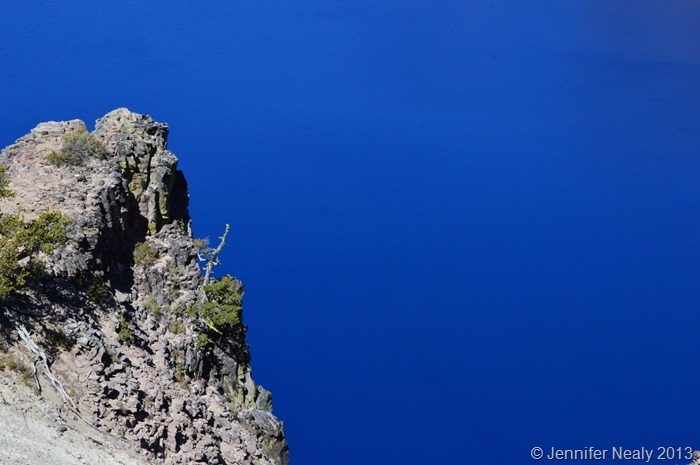 These pictures are not enhanced or photoshopped in any way – the water was really that blue. Below is another zoomed-in shot of the shoreline – you can just see right through the water. By early afternoon we made our way to the Crater Lake Lodge, and decided to have a glass of wine as we sat in the rocking chairs on the deck overlooking the lake. There were about 50 chairs, all full of people like us, enjoying a cocktail along with the view. The interesting thing was that even though there were 50 people with drinks in hand, it was very, very quiet. The lake has a calming, almost eerie effect on you. It’s hard to describe, but you could feel it in the air – everyone was in awe of this incredible beauty in front of us. Eventually the sun started to go down, and you could see the reflection of the rim in the water. A beautiful ending to a beautiful day. Beautiful pictures! 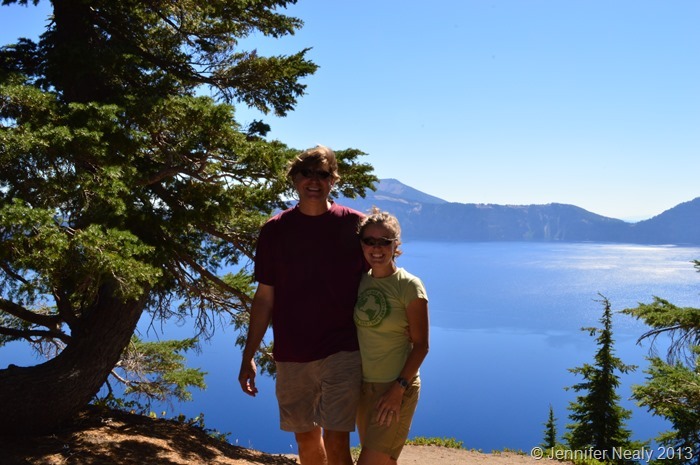 We loved Crater Lake, too AND we stayed at Diamond Lake. It was beautiful, but the mosquitoes were awful-it was early summer. The road was still closed half way around and the snow was 1-1/2 times Rich’s height. We saw a bear come out of hibernation the day we were there-1st thought it was a huge sloth-it had some pounds to pack on! We have heard the mosquitoes are awful during the summer. Luckily we were there late enough in the summer where it wasn’t a problem. 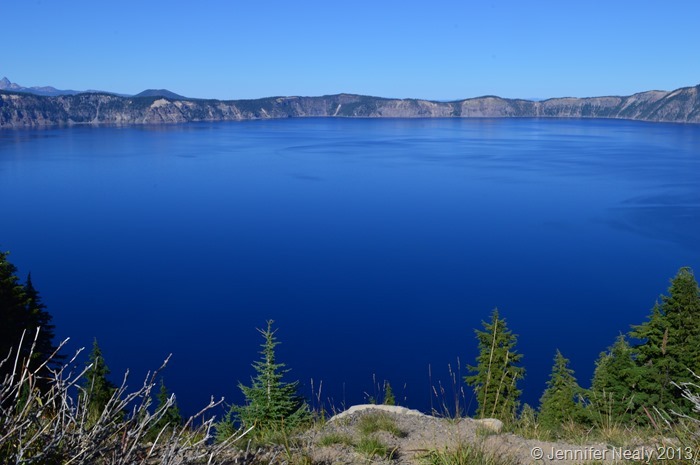 I bet seeing the snow at Crater Lake is beautiful – and how fun that you got to see a bear! Crater Lake is amazing. My family went there when I was in high school. We took the boat ride around the lake and could see to the bottom the water was so clear. Definitely an amazing experience. Your pictures are beautiful. . Thank you! I’m really disappointed we didn’t do the boat ride – I’ve heard it’s great. Next time we’ll do it for sure! Gorgeous! 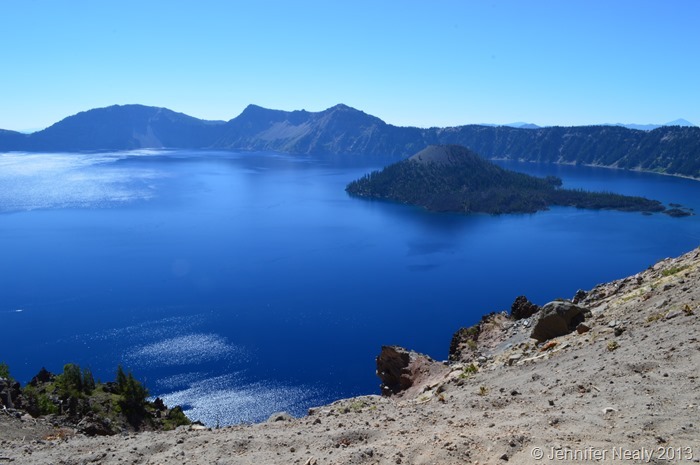 Crater Lake is our next stop and we are planning on staying at Diamond Lake so it was good to read a first-hand experience. Thanks for getting me excited! Glad you are going to go! You’ll love it. We had a pretty decent signal there too. We were in loop G – spot #37 I think. It was just barely big enough for our 35′ rig, but there were other bigger spots on the same loop. Can’t wait to read about your visit! Thank you! Yes, I would definitely add it to your bucket list – it was incredibly beautiful. Love your GSD by the way – we have a solid black one. They’re amazing dogs. Can’t wait to get there! We’re in the Black Hills, SD right now. unfortunately, we’ll have to put this on our list for next time we’re up north. Great pictures! Thanks for that. Hi guys, what ‘s going on? It’s Bryan & Marianne. We got the house thing done and headed to beautiful Northern MI. We loved Crater Lake too. Where are you headed next? We’ve been up here a month at Hearthside Grove in Petoskey. The most beautiful motorcoach resort so far. Heading south on Monday and hope to be in FL by New Year’s Eve. Send us a line sometime. 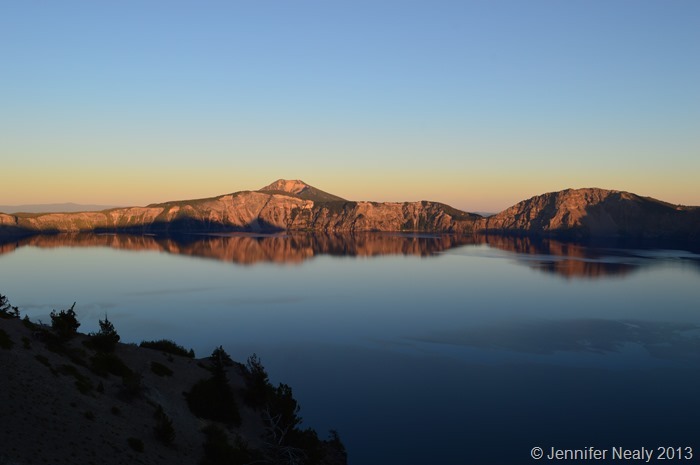 We love Crater lake too. Steve biked around the crater and took him 4 hours to finish. I was just his lovely support for I back out at the last minute.